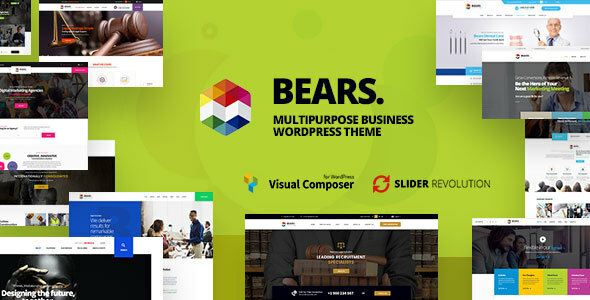 Bears is business WordPress theme can adapt to any corporate business niche, and provide users with an accessible and intuitive interface. It maximizes your page’s performance, proving to your customers that your company values quality and attention to detail. Bears ready for with most popular of business & corporation like finance, law firm, construction, dentist, legal, pr & marketing, consultancy, creative agency, digital, advisor agency, insurance, it services etc. Bears is fully featured Multi-Concept, responsive, Bootstrap based HTML5/CSS3. Made for a freelancer, dressmaker or small corporations who are looking for fashionable, professional and minimum appearance. the overall minimalist coming near is the one of Bears key point besides consumer-friendly experience and super layout. Let’s discover Bears today !